Manchester (United Kingdom) (AFP) – Manchester City secured their place in the Champions League quarter-finals on Wednesday, but did little to enhance their tag as favourites to win the competition as a much-changed side suffered a shock 2-1 home defeat by Basel. 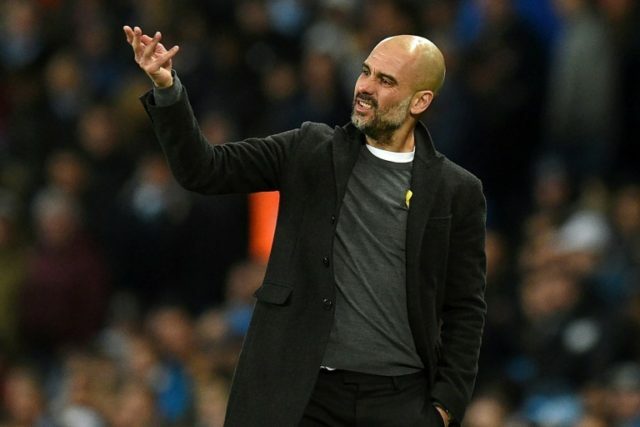 City manager Pep Guardiola could afford the luxury of making six changes from Sunday’s dominant 1-0 win over Chelsea, but still saw his side extend their aggregate advantage early on when Gabriel Jesus tapped home after just eight minutes. Leroy Sane was one of few regular starters retained in Guardiola’s starting XI and continued his supreme form by creating the opener. Jesus hadn’t started since suffering knee ligament damage on New Years’ Eve, but had the simplest of tasks to get back among the goals when Bernardo Silva latched onto Sane’s pass to produce a inch-perfect low cross for the Brazilian. And they were punished when Elyounoussi’s low cross was blasted past Bravo at his near post from a narrow angle by Lang.